When you are running your own business you have to be open to new and out of the ordinary opportunities. If you own and operate a hog roast machine company, you probably already know that you have to tap into a variety of markets. One you may have overlooked is the estate sale and auction market. These events are a terrific way to earn money while also advertising your hog roast machines for hire. If you are unfamiliar with estate sales and auctions, you may be missing a golden opportunity. These events are generally day long affairs that bring in people from all over the region. While there are some estate sales and auctions that are small and held in a person’s garage or driveway, there are many that are quite large and can attract thousands of people. 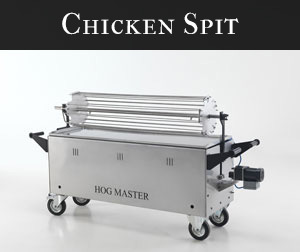 The second group is the market you may want to approach for your hog roast machine hire out business. If you check your local paper you may find a weekly listing of estate sales and auctions. Often they will list the items that will be available for sale. If there are a lot of valuable items, like antiques or farm equipment, then the turnout will likely be big and a wide variety of buyers will come. This could include those who want items for personal use as well as those who want them for their own business. You can contact the organizers and see if they will allow you to set up your hog roast machine on the day of the estate sale or auction. This is a good deal for them, because with all those people they may prefer to have food available onsite instead of having people bring their own food in. The organizers may want a fee or a cut of the profits from your hog roast machines for hire, or they may pay you for providing the service. Hog roast catering is fast becoming one of the most popular forms of catering around the UK. The North East of England, in particular Guisborough, could really benefit from making Thornaby on Tees hog roast their number one choice for catering. With many different companies offering similar hog roast services you are spoilt for choice around the entire UK. Firstly, whatever event you are planning look no further than hog roast catering. This style of catering is perfect for all occasions. Whether it is a wedding or a festival a Guisborough hog roast can provide excellent food that meets your budget and feeds the right amount of people at your event. 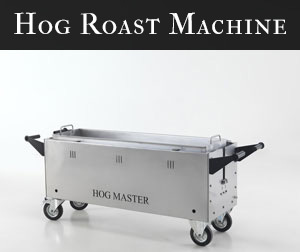 The standard price to buy your own hog roast machine can start from around £2000 upwards, when renting a hog roast machine we have some very affordable hire packages available. When hiring a hog roast you are not just hiring the food. You are hiring a set of staff and a chef to carve and serve the food for all your guests. This essentially makes all your catering for the day completely hassle free. The only thing you have to do is enjoy the food. The chefs provided at an event serve and carve the roast right in front of you while you wait making it the freshest and most succulent meat you will ever taste. This kind of service is perfect for the events taking place in Thornaby on Tees in the coming months. One of the most important features of a hog roast is the dining experience that it provides. There is no better way to whet your appetite than to watch and smell the hog roast slowly cooking. One of the best features of the hog roast is watching it cook while you wait for it. And once the roast is ready it takes on average 30 minutes to serve around 100 people, making it very quick. Watching a hog roast slow cook on a cold night autumn night in Guisborough is the perfect way to create a warm atmosphere. A hog roast is the perfect way to provide quick, delicious and affordable catering for your event and is a refreshing change to usual cold buffet style catering. 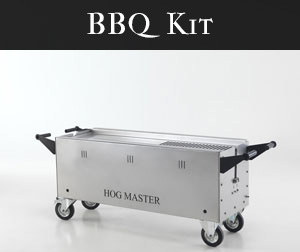 If you are looking to start up a hog roast machine hire out business, or add to your current company, we can help you with all your equipment needs. We carry quality roasters that will last for many profitable years.